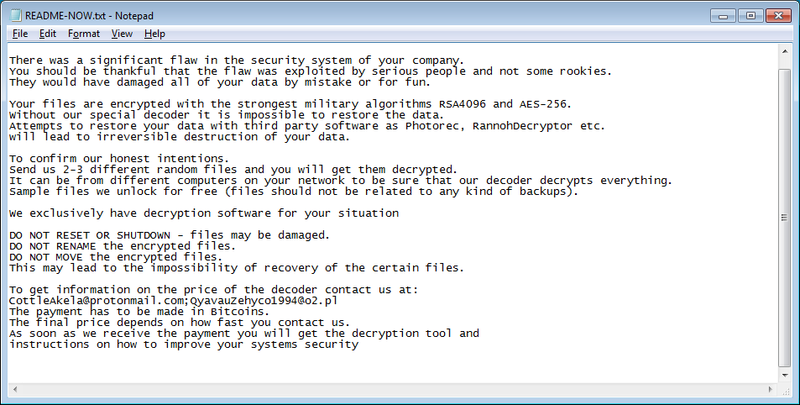 New LockerGoga Ransomware has been found mainly in a cyber attack on the French engineering consultancy, Altran Technologies. The distribution method of this Ransomware is not clear yet. Once the ransomware is executed, it targets DOC, DOT, WBK, DOCX, DOTX, DOCB, XLM, XLSX, XLTX, XLSB, XLW, PPT, POT, PPS, PPTX, POTX, PPSX, SLDX, and PDF ﬁles. Samples for this ransomware have been uploaded from Romania and Netherlands whereas its victims have been observed in ﬁve diﬀerent countries. Bleeping Computer suggests that the ﬁrst rule of Security Researcher V should be considered while trying to detect the family of infections using Yara, in order to save organizations from the LockerGoga Ransomware. Block the threat indicators at their respective controls and keep your systems up-to-date. Since the attack vector is still unknown, using products with vulnerabilities increases risk of attack by a malicious entity.